Is Fasting Bad For You? - Here Is Your Answer. Fasting can be dangerous. Deliberately ignoring your body's desire for food for any length of time can have serious side effects. 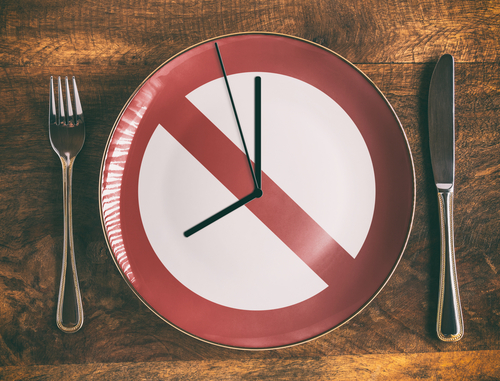 If you're careful, however, fasting can be an incredible tool for losing weight or simply an interesting experience that you can enjoy several times a year. When you eat less, your body wants to eat more. It's using all of the normal processes to generate calories: you eat food, it releases insulin, and it turns whatever you eat into chemical energy. Since you're eating less, however, your body will run on a deficit. It knows it needs to get extra calories from somewhere. The calories it does get come from your stomach, so your body will tell your brain to fill your stomach with food to give you more energy. The result of this is slow weight loss (since you're getting calories from food), weakness or lethargy (since you're not getting enough calories), and eventually muscle loss (if you run a caloric deficit for long enough). When you fast properly, however, you can duck all of these issues for several days or even a few weeks. Upton Sinclair was a major proponent of fasting during his lifetime and even wrote a book about the subject (which is available for free on the internet today). He observed a notable difficulty during the first several days of the fast, after which point his hunger would more-or-less vanish. At some point, his hunger would "return," and he would begin to eat. Sinclair was a fan of fasts that lasted between 10 and 14 days, during which he would not eat at all. At several points, he attempted to fast longer by eating small amounts of fruit or very light meals during his fast. He tried "again and again... always with the same result: the light meals [were] just enough to keep [him] ravenously hungry." While Sinclair isn't the most credible medical source, what he's describing is pretty much what you'd expect based on modern science. When you eat very little carbs or sugars, your body goes into a mode called ketosis. As long as you stay in ketosis, your body is perfectly happy to burn your fat reserves in order to get energy. Eating carbs or sugar will cause your body to produce insulin, quickly bringing you out of ketosis and back into a more normal metabolic state. This, in turn, prompts your brain to make you hungry again. Proponents of ketosis are quick to point out its benefits: it helps preserve or even build muscle, it allows for incredibly quick weight loss, and it can increase energy levels and attention in some people. Ketosis does carry some dangers, however. First, your body needs things other than calories to survive. If you plan to fast, be sure to take a multivitamin each day. You'll be able to keep up your fast much longer while staying healthy. Some fasting proponents suggest looking specifically for supplements with high doses of electrolytes, which your body uses to balance fluid levels. Be sure you're getting potassium, sodium, calcium, magnesium, and phosphate from somewhere. Second, your body produces a chemical called ketone while it's in ketosis mode. If you accumulate too much ketone, you'll begin to suffer from a condition called ketoacidosis. Ketoacidosis can occur practically overnight under the right conditions. If you're sick, under a lot of stress, or you experience physical or emotional trauma, it's a good idea to end your fast and return to a normal diet. The symptoms of ketoacidosis include confusion, fruity breath, excessive thirst, frequent urination, shortness of breath, nausea, and vomiting. While ketoacidosis is very rare in people without diabetes, it's still a real danger. Third, fasting-induced ketosis is much less romantic than it might seem when you read about it. A more realistic experience made the cover of Harper's magazine in March of 2012. Steve Hendricks, a middleweight author from Colorado, embarked on a 17 day fast in an attempt to shave a little bit off of his desk belly. His essay recounts a loss of libido, persistent lightheadedness, and increasing irritability. While he lost 30 lbs and became an advocate of fasting, it's worth noting that his experience was not entirely pleasant. If you want to keep the people around you happy, keep eating. Finally, when you end ketosis, your body undergoes some pretty drastic changes in order to shift from burning fat to burning carbs. One of the first things it does is release lots of insulin to start turning things you eat into energy. You'll need plentiful access to electrolytes during this transition. If you're not careful, your body could use up all of its stores of phosphate, magnesium, potassium, and thiamine. Even in the short-term, deficiencies of these nutrients can cause hypotension, heart failure, or even death. The condition you're trying to avoid is called refeeding syndrome. In order to prevent it, take electrolyte, thiamine, and B vitamin supplements before breaking your fast. When you do break your fast, return to a normal diet slowly over the course of a couple of days. Ideally, you'll start off with soup broth or weak fruit juice, both of which have plenty of electrolytes and a relatively small amount of calories. For short fasts (less than 3 days), these procedures are likely overkill. As your fasts get longer, however, they become more and more necessary. Does Fasting Damage Your Muscles? It depends. During ketosis, your body produces a number of chemicals (including human growth hormone and leucine) that ensure your body has the tools it needs to keep your muscles big and healthy. Outside of ketosis, however, your body relies on insulin and carbohydrates for muscle growth, and it's more willing to cannibalize your muscles to try to get a few extra calories. In order to minimize muscle loss, it's a good idea to exercise during a long fast in order to induce ketosis as fast as possible. You won't be able to fast for as many days in total, but you'll lose more weight (by burning calories), preserve more muscle, and feel better while you fast. On a serious note, you cannot fast indefinitely. An excessively long fast turns into a hunger strike, which eventually turns fatal. Even if you properly manage your electrolyte and vitamin levels, you'll eventually experience trouble standing, dizziness, weakness, sluggishness, loss of coordination, low heart rate, and chilliness. Should you continue further, you might experience difficulty swallowing, sensory loss, breathing problems, and organ failure. Perhaps most frightening is the risk of psychological changes. People on hunger strikes become more impulsive and aggressive, which makes them more likely to adhere to the strike as a sort of reckless challenge. In other words, you might start off your fast thinking you'll "see how far you can go" and find yourself trying to prove how much of a man you are by starving yourself for weeks afterward. Be sure to tell a few friends about your fasting plans so that they can help monitor your progress and talk you out of any ill-advised extensions. How Long Can You Fast? One obese man from Scotland was able to fast for 382 days, consuming only water, coffee, and a multivitamin during the duration of his fast. While he lost 276 lbs during his fast, the doctors observing him commented that he suffered from no ill-effects afterwards. Similar anecdotes seem to demonstrate that the maximum length of a healthy fast is proportional to your body's fat stores. Again, please take all necessary precautions before trying to fast for more than a few days. Talk to your doctor if you're fasting to lose weight, or at the very least stock up on supplements and enlist the help of a friend.